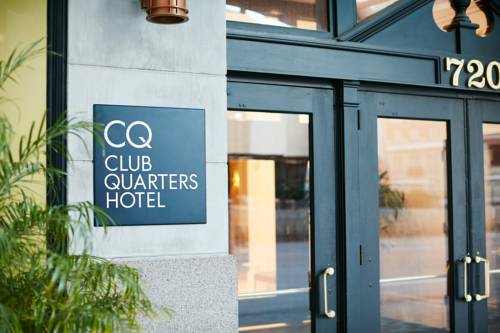 Club Quarters in Houston is located in a restored landmark building across from BG Group Place and a short walk to Houston Pavilions - the Theatre District - nightlife - and museums. Club Quarters is the best value for a full service hotel in a prime city center location. Table 7 Bistro serves artistically prepared American cuisine. Guests can enjoy an upscale yet casual atmosphere with floor to ceiling windows and a colorful array of art. Serving breakfast lunch and dinner daily. Fast efficient delivery service to our hotel from local neighboring restaurants. Orders are delivered to your room and account charged accordingly.